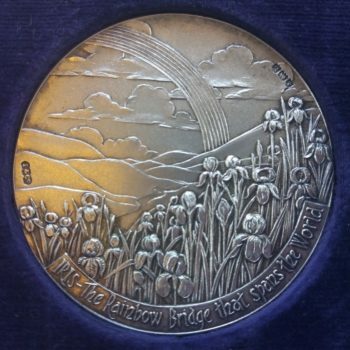 One of the treasures of our archival collections are the medals won by Violet Insole for her iris collection, acquired in 2010. Violet Insole (1883-1932) was a keen horticulturalist and best known for the beautiful alpine and iris gardens she created at ‘The Court’. Violet had great success at both breeding irises and presenting them in competitions. 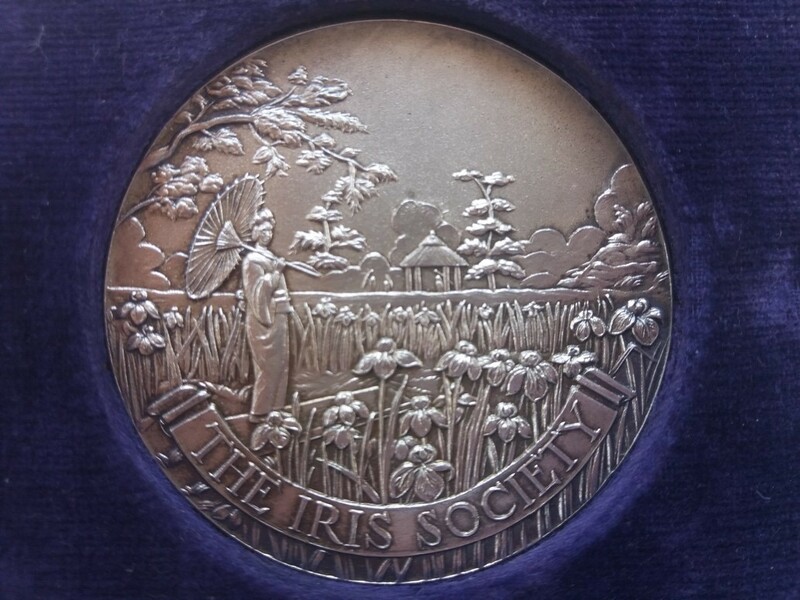 She was one of the first members of the British Iris Society, joining in 1924, and sat on its executive committee. She also donated the Insole Challenge Cup an annual trophy awarded to the exhibit which best demonstrated the decorative value of irises. Violet raised hundreds of varieties of irises and was best known for her introductions, ‘Golden Flare’, ‘Dog Rose’, ‘Eglantine’ and ‘Queen of Sheba’. 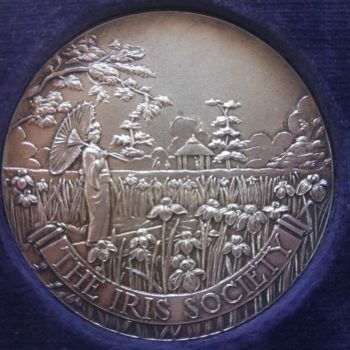 She won a number of silver and bronze medals for her entries at the Iris Society Shows, as well as certificates of merit. 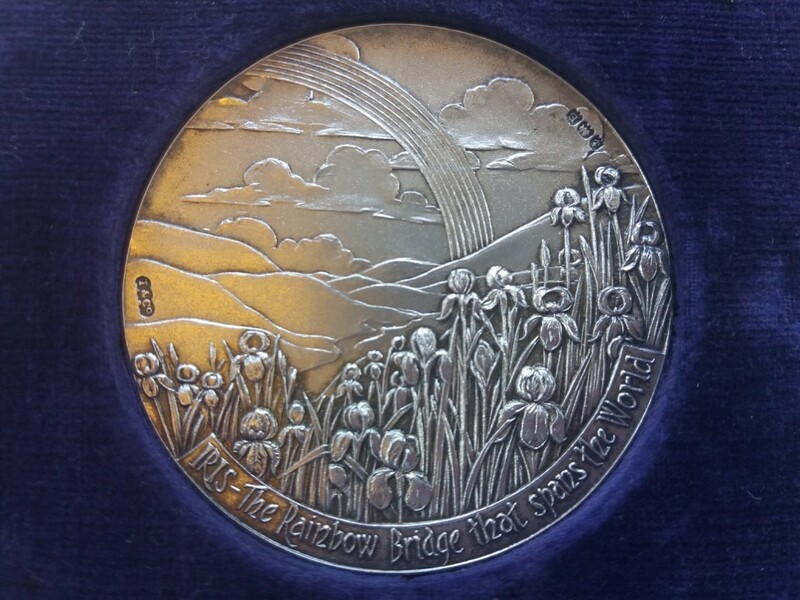 The medals are held by Insole Court Archive and are available to view on request at the email listed below. The importance of Violet’s irises was reflected by the fact that deeds from the surrounding houses make special mention of any irises growing on the properties. Copies of the agreements, held by Insole Court Archive, between Jessy Ann Insole and The Cardiff Corporation state that after Jessy Insole sold the surround land, she reserved the right to “all irises and rockery plants now growing or planted upon the settled lands”. Jessy was granted power to remove any irises currently growing or seen to grow in the future provided that within 3 months she would replace them with suitable plants. As part of the oral history testimony held by the archive it has also been noted that the irises perhaps played a part in Violet’s death. After falling ill, Violet chose to delay her medical treatment, rather than visit the Insole Ward at the Infirmary, as she was waiting for the irises to flower. The delay meant that Violet was forced to have an emergency operation at the Court, after which she sadly passed away. For any questions about our research or archival holdings please get in touch at the email below. Alternatively, if you have any information about or memories of Insole Court and would like to record an interview for our growing collection of oral history, we would love to hear from you. Gerta Beach, Iris Chronicles Of The Historical Iris Tobins Of The American Iris Society, No.Xv1, (1966). A.J. Wilkins, Riverside Gardens Catalogue, 1937.